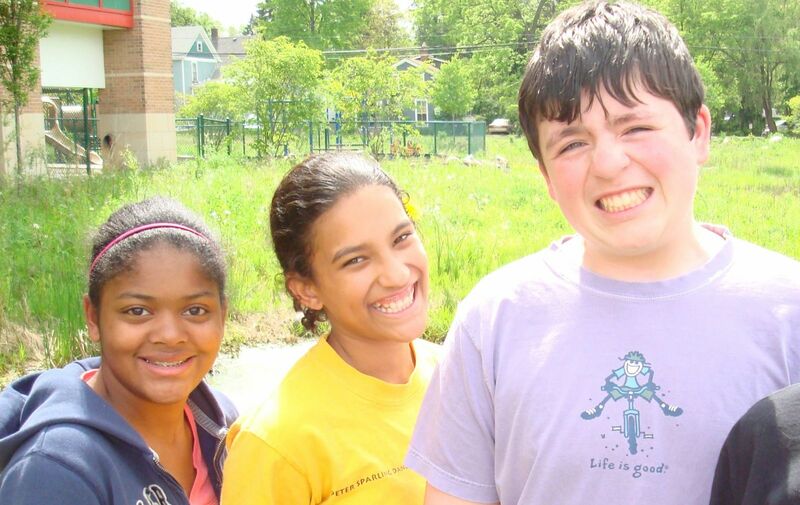 One of the main components of Leaders Club is job training for Ann Arbor YMCA program areas like membership service, aquatics, sports programs, gymnastics and childcare. Activities provide a safe haven for young people to become confident and competent adults, while giving them a sense of belonging in the YMCA and their community. Teen Leaders are selected based on their level of responsibility, character and desire to actively engage in the program activities. Participants are required to attend scheduled meetings and to complete at least 45 hours of service with YMCA programs and events during the school year. For more information about opportunities to become more engaged in the community, please contact Abbey Davis, Teen and Volunteer Director at adavis@annarborymca.org or 734.661.8012. A unique program for 12-17 year olds, Leaders Club provides teens opportunities for personal growth and leadership development. Club meetings encourage character development through activities such as team-building, group work, volunteering for YMCA events, shadowing of YMCA program areas, leadership training, and much more.